When you visit our hearing aid center, we will work with you to restore your hearing, not only to improve your enjoyment of daily life but also to help you offset the psychological dangers that hearing loss can cause. Today, one in twelve Americans suffers from hearing loss, with over two-thirds of Americans over the age of 70 struggling to hear. 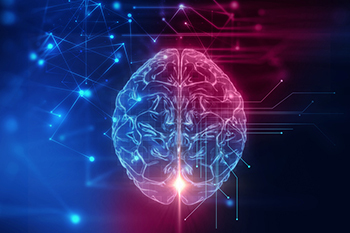 Since our brains are deeply interconnected with the way we hear, dementia suffered by aging Americans can frequently be linked to the deterioration of their hearing ability. 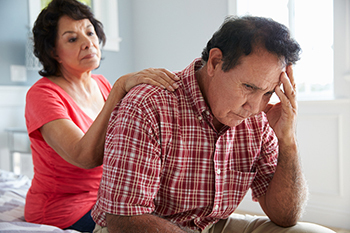 Keep reading to learn about our treatment for hearing loss & dementia in San Jose, CA. 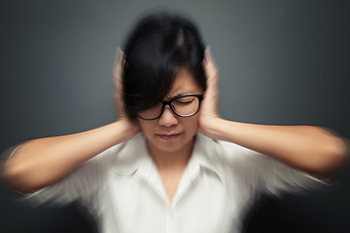 Dr. Frank Lin and his team at Johns Hopkins Medical Center have published numerous studies on the negative impact of hearing loss, including its strong link to cognitive decline and dementia. They have found three primary effects of hearing loss that contribute directly to your risk of dementia. Proper hearing health care enables you to maintain an active, engaging lifestyle. In turn, that social interaction helps keep your mind sharp. Keeping your brain mentally fit – with social interactions, communication, reading, and playing games – is a recipe for a long, healthy life! Multiple scientific studies have demonstrated that hearing impairment is associated with accelerated brain atrophy in both the overall brain, as well as severe reductions in volume in the parts of the brain associated with the memory, hearing, speech, and language. Hearing loss is not normal, and neither is the excessive strain that it puts on your brain. When you suffer from hearing loss, your brain is constantly overloaded as it works to fill in the missing pieces and follow the conversation. Imagine trying to read this page if every third word were missing. Now imagine reading a 300-page novel written like that! The extra time it takes you to follow what is being said in a conversation can really add up, and this can harm your brain over time. Stop putting undue stress on your brain! Call our friendly office at 408-652-8455 to learn more about our treatment for hearing loss and dementia in San Jose, CA, and to request your complimentary Los Gatos Audiology Hearing Consultation. Let us show you the amazing advancements that science has made in improving hearing clarity. Your journey to better hearing begins today!